Contact us about your wedding, private event or corporate gathering! Tons of natural light, high ceilings, great community, central location with quick access to major highways, four broadband providers to choose from. 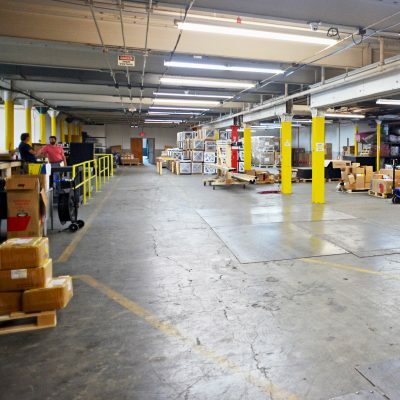 Central location in western New England, multiple loading docks, parking, low electricity rates, 5,000-120,000 sq. ft.
A restored 19th century paper mill. Beautiful exposed brick, high ceilings and gleaming maple floors for your wedding, private event or corporate gathering. Small creative businesses are a vital part of the community and atmosphere at Open Square. We offer a limited number of incredible work-only studios for artisans and small businesses with a special focus on the creative fields. Destination retailers, hoteliers & restaurants in western New England have an affordable, centrally located, high-quality option: Open Square. 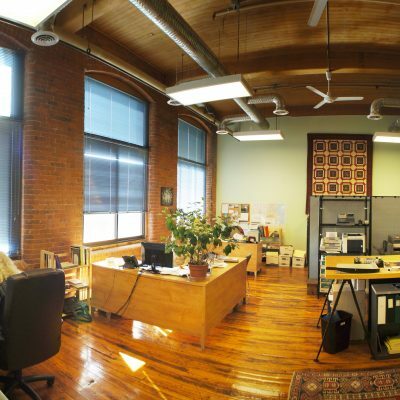 Open Square's existing or built-to-suit offices feature exposed brick, abundant natural light, gleaming wood floors, clean custom design & your choice of high-speed Internet connections. From 170 to 120,000 square feet available. Located at the axis of western New England's transportation routes, Open Square is the natural home to warehouse, distribution, charter school, call center, hotels or other large projects. Our 5k to 412k square feet are clean, plentiful, ready to go & (if you need it) wired to the teeth.